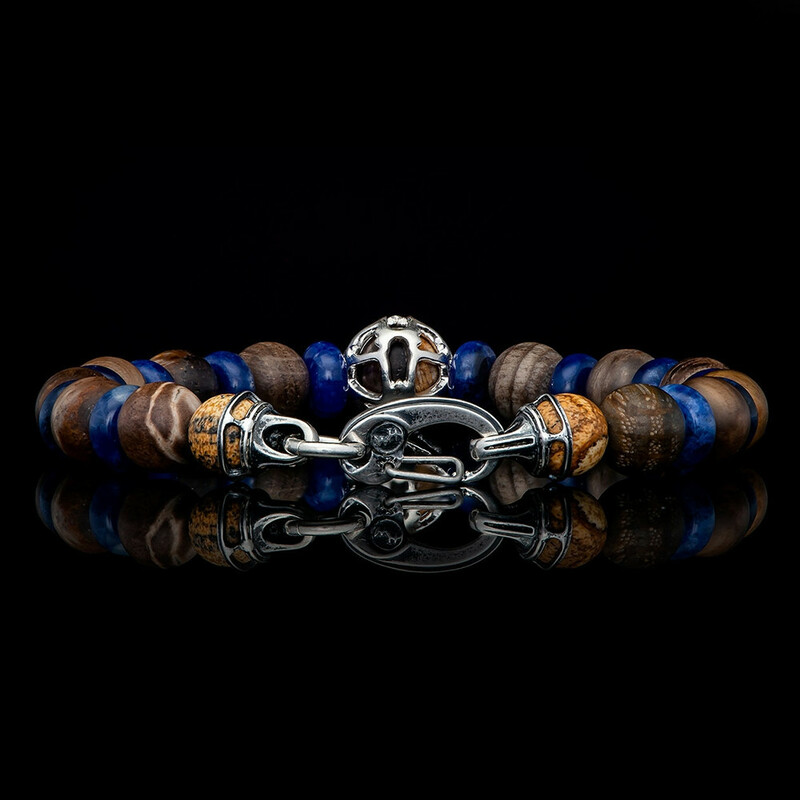 Your quest for a men's bracelet ends with this Adventure style wrist candy, part of William Henry's Embrace collection. 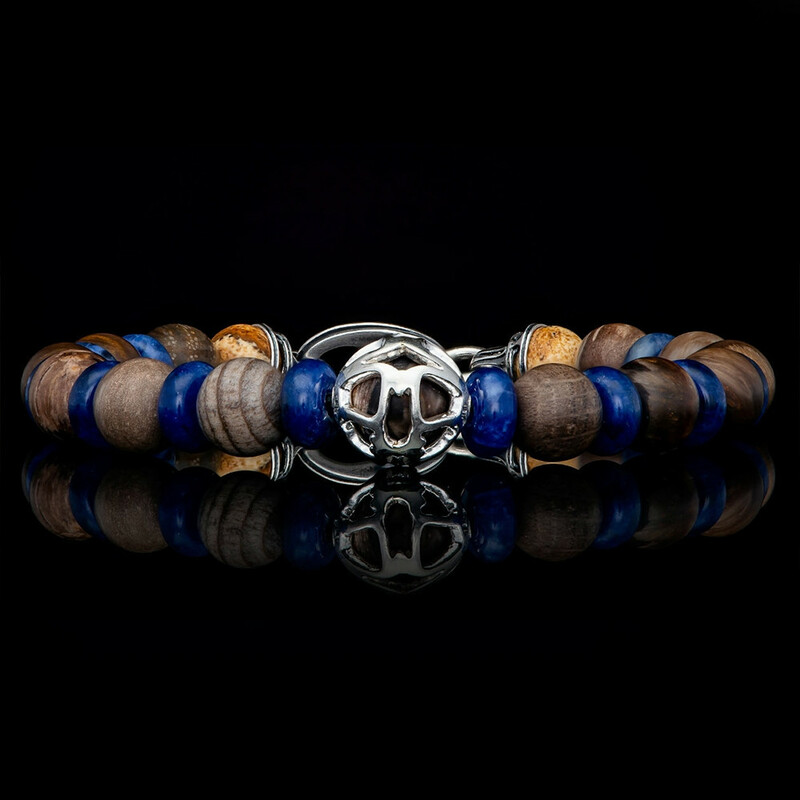 Crafted in sterling silver with petrified wood and sodalite beads on durable micro paracord, it features an openwork sphere that displays a silver cage over a wooden bead. 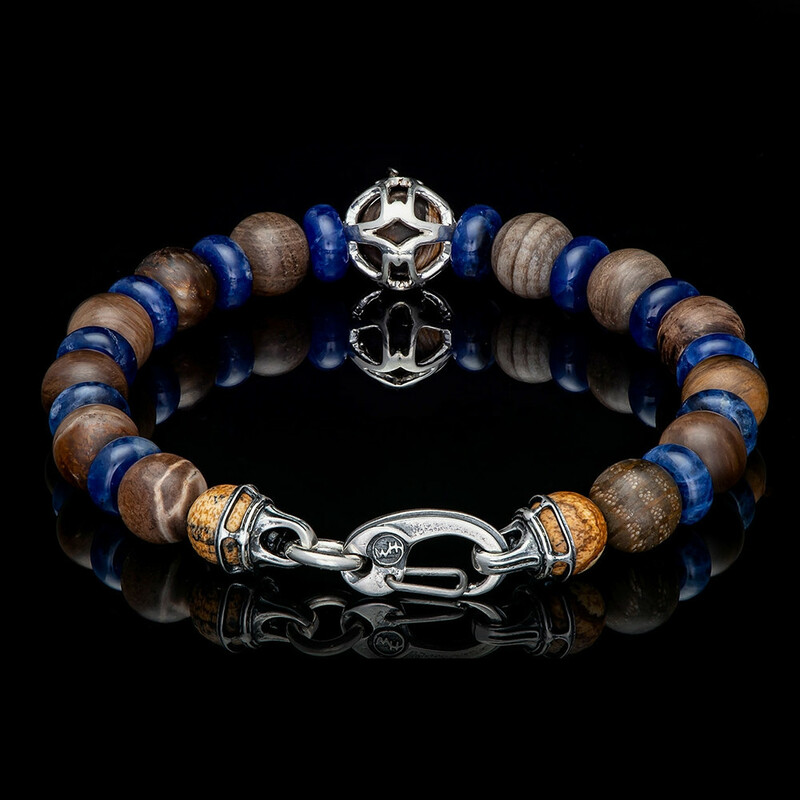 Alternating wood and blue beads circle your wrist, ending with precious metal end caps and clasp. 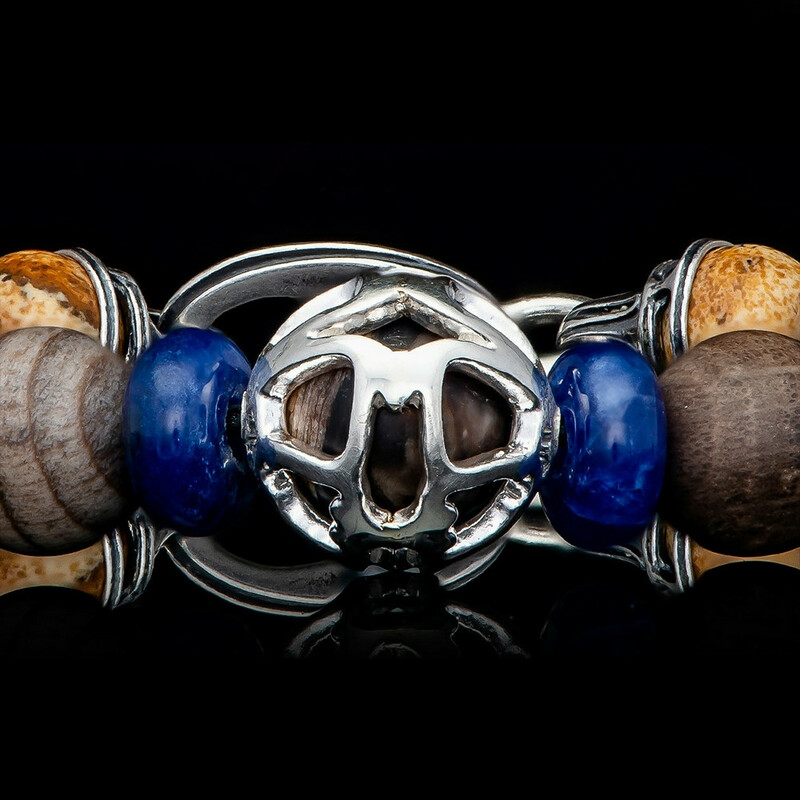 This William Henry bracelet lets you venture out into the world in style!